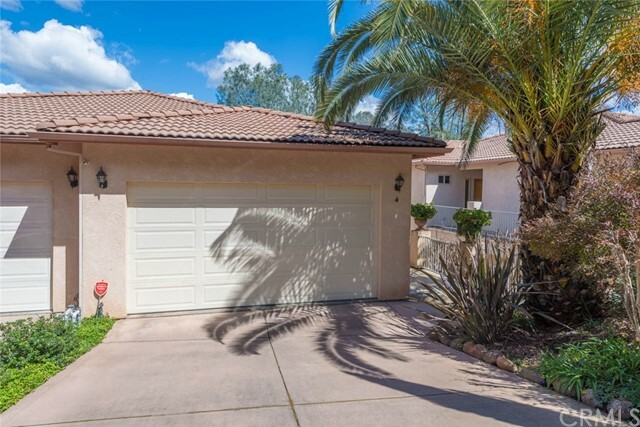 This meticulously cared for duet is located in the gated community of Canyon Oaks in The Retreat. You'll find the treed setting to be breathtaking and serene. From the either patio off the main dining room or the one off the master bedroom, enjoy the natural landscape and activity of wildlife and the sounds of the rippling creek below. Whether you golf or not, Canyon Oaks is a great place for walking or biking. This is a 3 bedroom, two and a half bath home with a plethora of closets and storage areas. The basement access offers so many possibilities with the option of finishing it off to make another room, office or wine cellar. The main living area of the home has a fabulous open floor plan and beautiful wood floors. The kitchen is perfect for the entertainer at heart, with a wrap around eating bar where friends and family are sure to gather and opens to the dining room and living room with a cozy gas fireplace and built-in bookcases. Call for an appointment.